A GALAXY is a large collection of hundreds of millions of stars and intersellar material, all gravitationally interacting, and orbiting around a common centre. The SOLAR SYSTEM represents all the objects which are held by the gravitational field of the sun (8 planets, their satellites, the Dwarf planets, asteroids, comets, meteoroids, dust, gas). A LIGHT YEAR is the distance which the light travels in vacuum in 1 year. The spead of the light is 300 000 km/s, about 8 min for the Sun's rays to travel from the Sun to reach the Earth. 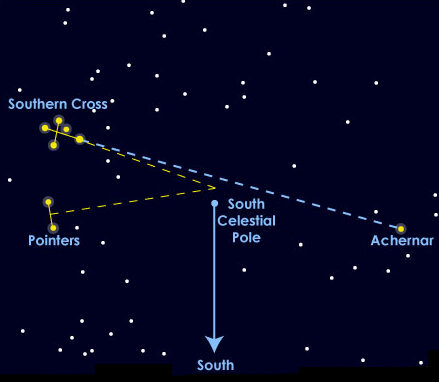 The STARS produce their own energy and light (Sun). 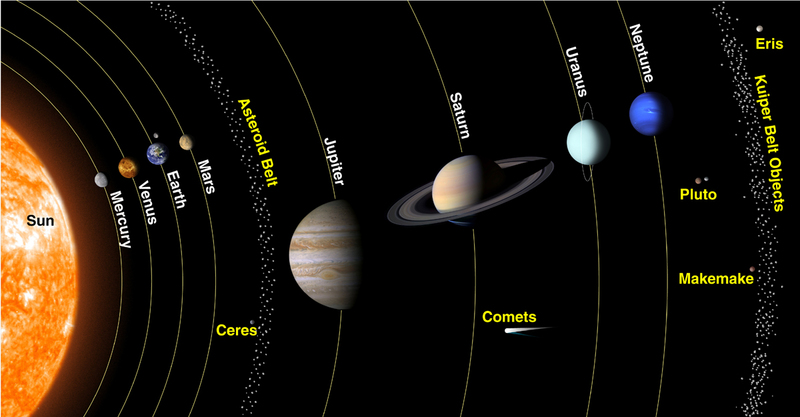 The PLANETS do not generate light themselves but reflect the light from the sun. A SHOOTING STAR or a METEOR represents small bits of matter that enter the earth's atmosphere, burning out through fiction. A shooting star that reached the ground is known as a METEORITE. 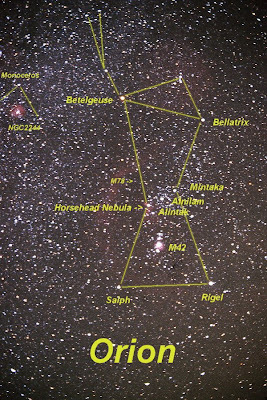 Made up of 4 stars: Gamma, Delta, Alpha, Beta, and the pointer stars: Alpha Centauri and Beta Centauri. Visible from all over the world. 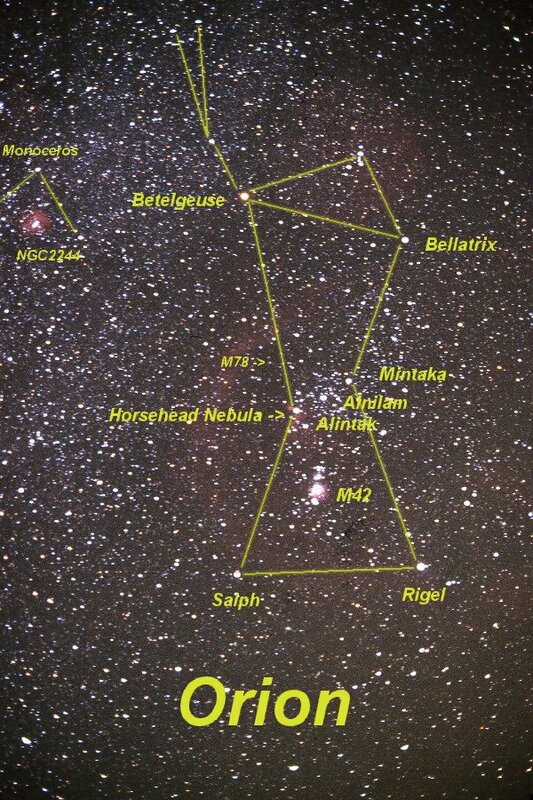 The important stars are Rigel, Saiph, Beltegeuse, the Great Nebula and the 3 kings or the Belt of Orion. Visible from May to November in the evening sky. 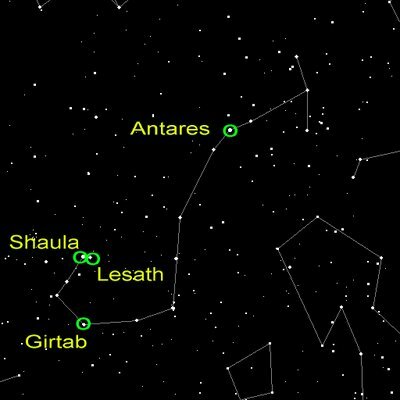 Antares is the most prominent star. The moon is the Earth's natural satellite. It is at 383 400 km from the Earth. The light reflected from the moon takes 1.3 sec to reach the Earth. The temperatures on the surface of the moon are extreme: from a maximum of 127°C at lunar noon to a minimum of -173°C just before lunar dawn. GIBBOUS MOON: when the moon is more than a half illuminated. 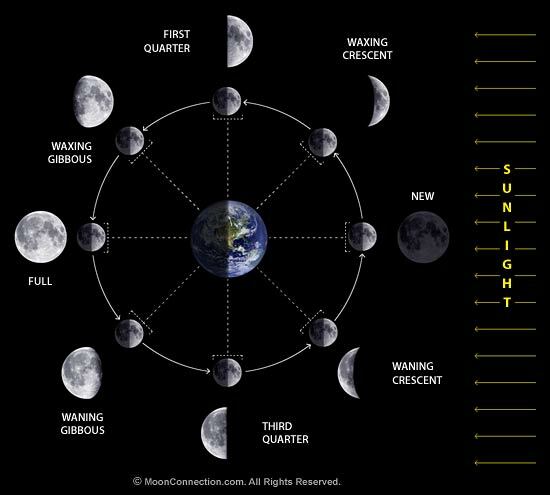 WANING MOON: when the moon progresses from full moon to new moon. WAXING MOON: it proceeds again from new moon to full moon. 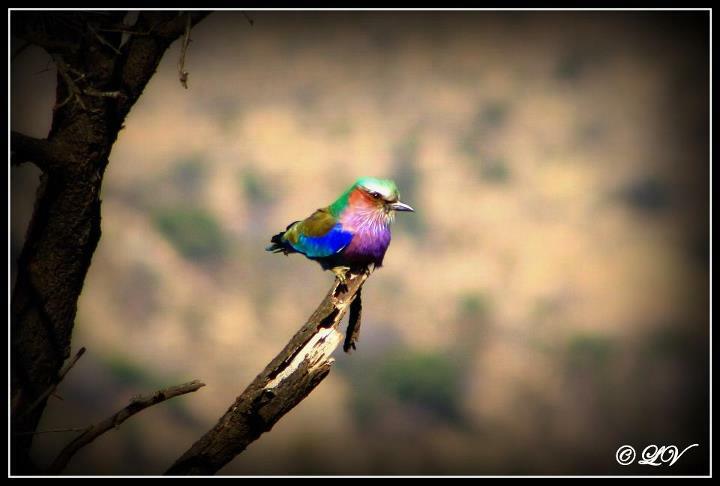 When the earth is between the sun and the moon, and the shadow darkens the moon. A total lunar eclipse occurs when the moon passes completely into the umbra (obscured for about 2h). When the moon is between the sun and the earth and its shadow moves across the face of the earth. 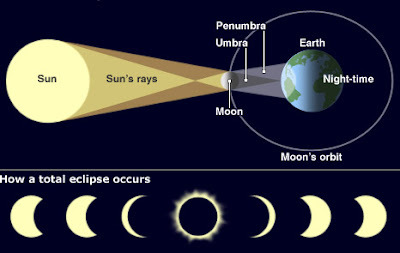 A total solar eclipse occurs when the moon's umbra reaches the earth (obscured for about 3 min). In areas outside the band swept by the moon's umbra but within the penumbra, the sun is only partly obscured, a partial eclipse occurs. TIDE REGULATION: level of sea changes with the tides on a daily, weekly, monthly basis. TIDE: periodic rise and fall of all ocean water, including those of open sea, gulfs, bays, resulting from the gravitational attraction of the moon and the sun upon the water and upon the earth itself. Moon, being much closer to the Earth than the Sun, is the main cause of tides. When the Moon is directly over a given point on the surface of the Earth, it exerts a powerful pull on the water, which then rises above its normal level. As the Moon orbits around the Earth it travels closer and further away from the Earth depending on its position in the orbit. The closer an object becomes, the stronger its gravitational force will be. They occur when the moon is a new moon and a full moon. The Sun, the Moon and the Earth are all straight line. The combined forces of gravity along the line pull high tides higher than normal. The level of water of oceans not on this line are therefore lower than normal. High water is higher and low water is lower than usual. 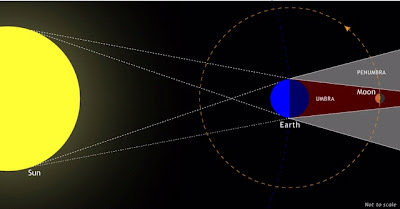 They occur when the moon pulls at right angle to the force of the sun, thus the moon, Earth and the Sun form a 90° angle. 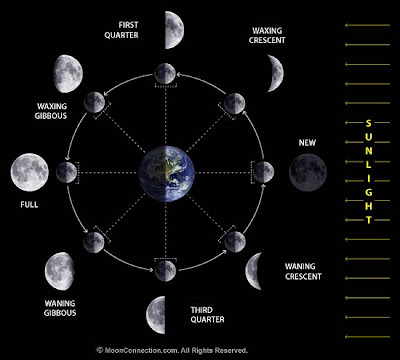 When the moon is in the 1st or 3rd quarter, it is at right angles to the sun relative to the earth, and the ocean water is subject to the opposite forces of the sun and the moon. During this time period, the gravitational pull of the ocean waters is more evenly distributed around the earth. This condition produces neap tides, in which the high water is lower and the low water is higher than normal. Thus there is less difference between the high-tide levels and the low-tide levels all around the world.